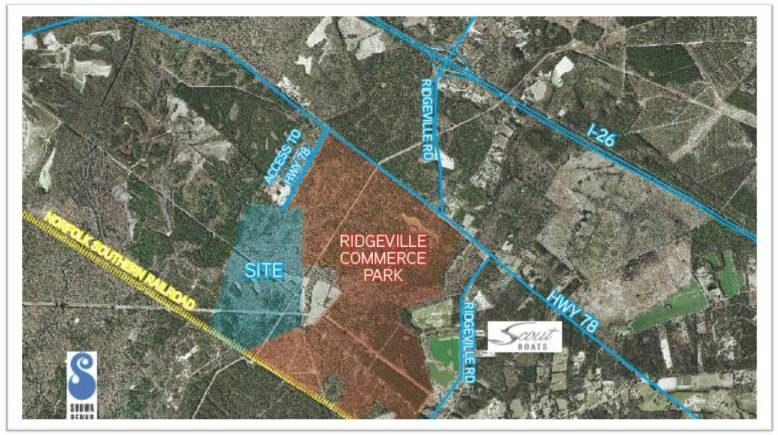 Approximately 331 +/- acres of vacant land adjacent to the Ridgeville Commerce Park. 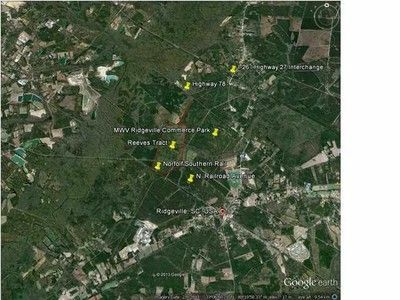 The property has access from Hwy 78 and North Railroad Ave. Norfolk Southern Railway serves the back of the property. Great location for commercial or industrial buyer looking for rail access. This property is less than 2 miles from the new Volvo plant. This listing is provided courtesy by Complete Real Estate.